The amount of miles you drive. How well your vehicle has been maintained. The surfaces and quality of road you travel on. What is done during a car service? At the very least, a service should check all the fluid levels, change the oil and oil filter and lubricate moving parts. However, with the varying levels of car servicing available, we recommend you choose the best grade for your circumstances and follow the servicing schedule for your vehicle. Read our blog post on the types of servicing available here. Most modern cars have an in-built computer that ensures a warning light- often in the image of a spanner- flashes up on the dashboard when your car has reached its service interval. If your car doesn’t have this facility, you can contact us at MyCarNeedsA.com. We’ll advise you about the specific servicing requirements for your vehicle and help you to obtain competitive, local quotes for the work needed. You can also check the servicing schedule in your car’s manual pack, which will give you detailed information from the manufacturer, regarding the servicing of your vehicle. Regular servicing increases the safety, reliability and lifespan of your vehicle. Small faults can be discovered early making the chance of breakdown much less likely. What’s more, research shows that cars with full service history have a resale value of up to 26% more than similar unserviced specimens. Need car servicing in your local area? 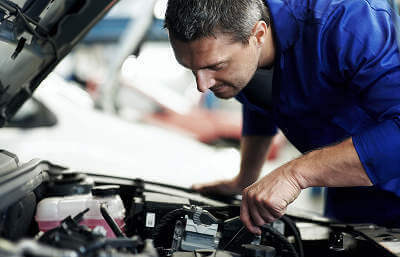 MyCarNeedsA.com can provide all levels of servicing, at competitive rate.